Home Advice iPad.com: New Millionaire About to be Minted Courtesy of Apple? After considerable speculation and discussion, Steve Jobs introduced the new Apple iPad today in a press conference that received much fanfare. The iPad is a device that is a new category of computing systems that bridges the gap between the iPhone smartphone and the Macbook laptop. If history is an indication of the current situation, Apple is going to want the iPad.com domain name, just as they own iPhone.com and iPod.com. 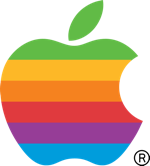 iPhone.com was also privately held before Apple paid a great sum of money for it, and iPod.com has been owned by Apple for quite some time (since at least 2001 according to a Whois history search). iPad.com has been a privately owned domain name since 1997. The current registrant (Administrative Contact) is a person with a New Jersey address named Martine Bejasa. They don’t have much on the front side of the website, although it’s quite possible there is information for clients of the owner, as there is a client log in on the home page. The owners will probably get a ton of traffic, which will be expensive for server maintenance. If I were to advise Martine Bejasa, I would recommend selling the domain name for the million dollar plus offer that will be sure to come from Apple. The name probably can’t be monetized by the current owner enough to justify passing on an offer in this range. In addition, there is no guarantee that the iPad is going to be a huge success, just as Apple TV has not taken off. If that’s the case, the domain name will probably be worth much less than its peak value today. Now is the best time to sell iPad.com, and I hope the owners and Apple are able to come to terms in the best interest of both parties. As Bill Hartzer points out in the comments below, the domain name is registered to a company called Enero 6 Corp, translated to January 6 Corp. Apple and Jobs always seem to have announcements right around that time, so it’s conceivable that the domain name was already acquired by the company. you’d think they would have been going after it for a long time now, easy to set up an NDA with the previous owner. The registration is private; just off the cuff, I’d be willing to bet that Apple already has this domain locked up and that Martine Bejasa is not the owner’s name, but someone acting on behalf of Apple, perhaps an employee. It would be an interesting historical search. I am going to agree strongly with Ms. Domainer. Apple is far to clever a company to let this slip without significant work and prep. I doubt very much if this domain is owned by Apple. It looks like it could have some Chinese malware on it. Beware if you go on the site. There are other NJ and Johnson & Johnson related listings in Google as well. In addition, now that the news has broken, if Apple did secretly own the domain name, I am sure they would have forwarded it to their site by now, rather than adding a link to cancer organizations in the bottom. To me, it seems clear that the owner is trying to take advantage of the traffic for a good cause rather than to promote the new product, as Apple would surely do. I would imagine Apple will buy the domain name, and since the owner seems like a charitable person, their favorite charities will benefit from the sale. Let me clarify: beware if you go on the ipad site. Sorry about that long nasty-looking link. By the time I went on Whois, it had gone private (Net Sol, Drums, PA). I don’t have access to the history–too cheap. Nice bit of luck, to register a domain over 10 years ago that becomes essential to a highly anticipated product of a huge company. If we could all be so lucky! I see that her personal info is on Alexa. It’s a good thing (for her) most people won’t look there. Thanks, Elliot, for the search hint. iphone.com, ipod.com, ipad.com … these domains don’t get much traffic … check the alexa ranking for these domains! If ipad.com is worth a million, how much is i-pad.com worth? You can buy it now for only $3250. i-phone.com, i-pod.com is not owned by apple…so i guess apple doesn’t want i-pad.com either! MaxiPad.com is loaded with traffic right now!!! that it took down the servers. Have you looked at the company name? ipad.com is registered to Enero 6 corp. “Enero” means “January” in Spanish and there’s actually a significance to January 6th related to Steve Jobs. Also, the domain name iPad.com changed hands in April 2009. I bet it’s already been sold to Apple and Apple owns it. That name has been registered since January of 2008. It could be possible, but I don’t know why they aren’t forwarding it to http://www.apple.com/ipad yet since the iPad portion of the site is now running. Detective Bill Hartzer, on the case! Lots of January activity for Apple and Jobs. Some others right around January 6 too. Forget the new iPad! Check out these new iGlasses! They are hot! The enero6 domain has been updated (now expires in 2012) and Martine Bejasa’s name has been removed. Maybe the so-called Chinese hackers was just a red herring. What a bunch of sleuths! I certainly learned some new tricks today. Seems like it’s maybe been owned by apple/steve jobs since ’98. They might just be waiting to have enough relevant ipad info (i.e., exact price points, user plans +) for potential consumers before forwarding the domain to ipad section of the apple site. If it is already apple’s It would be interesting to know how much the original owner did manage to get for it since it was hypothetically purchased 2 years prior to the official products launch. Martine Bejasa Wikipedia page was just deleted as well! Pretty cool for those guys Im sure they will love that Steve Jobs has the same Idea. Same deal at pillidentifier.net You see how things go when the big fish get in the game lol…Peace! FYI – this has been covered extensively (well, two posts) over the last week by the Jesus Tablet blog. Drums, PA is where Networks Solutions is located. J Tablet’s site has a link to the NY Department of State’s site where the Enero 6 Corp’s registration is listed. The address listed there is that of a New York City address purchased by the admin contact found on a real estate site via Google search. Just because Apple releases an ipad product does not mean they need the domain ipad.com. Domain squatter idiots! speculation on other domain names with the word “pad” in them? what are the best “pad” names to buy up to accompany the new name, with out infringing? Why wouldn’t Apple have already bought this name? >> Perhaps the prospect of buying this name for ~$1mn was more attractive to Apple when compared against the slim possibility of the previous owner revealing the name of their product before the official announcement (even though they’d inevitably have him/her sign an NDA). I started checking the domain name ipad.com last January 20 through netstumble.com/whois-history-check.html still the same records. Why would you want a iPod? It has no USB port, DVD or Webcam so there is no videoconference and you can not change the battery. Iphone.com and Ipod.com and Ipod.com aren’t getting traffic? You make your comment based on your analysis of Alexa rankings? That’s a perfect reason why I never use Alexa to evaluate or appraise a domain. If you guys really think ipad.com is worth a million dollars to apple, then how much do you think i-pad.com is worth? You can buy it right now for only $3250. iphone.com, ipod.com, ipad.com …these domain names do not get that much traffic…check the alexa ranking. Hi, good article! Did you read about NexusOne? The .com of NexusOne is owned by someone registered at GoDaddy; Go Daddy itself owns the .net, and enom owns the .org – wonder what the outcome will be of that! Apple’s got a new toy, and all the children are screaming to their mommies to buy them that new toy, and the toy’s name is iPad. Just kidding, it may look like a toy, but I can say I am in love with this baby. It’s elegant, it’s functional and it’s not grumpy in the morning. The iPad is a high tech PC that has integrated on-screen keyboard with a touch interface; its size is just perfect.